Stay fit, stay connected, and share your progress with Forerunner® 35. 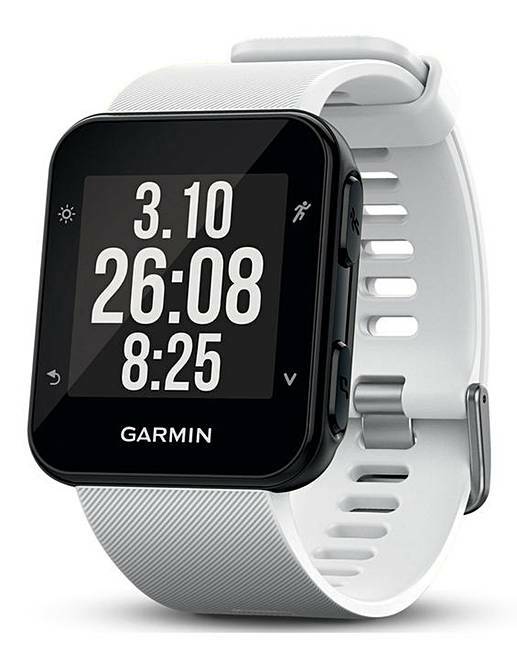 This stylish, easy-to-use GPS running watch offers Elevate™ wrist- based heart rate, giving you the option to run without a chest strap. 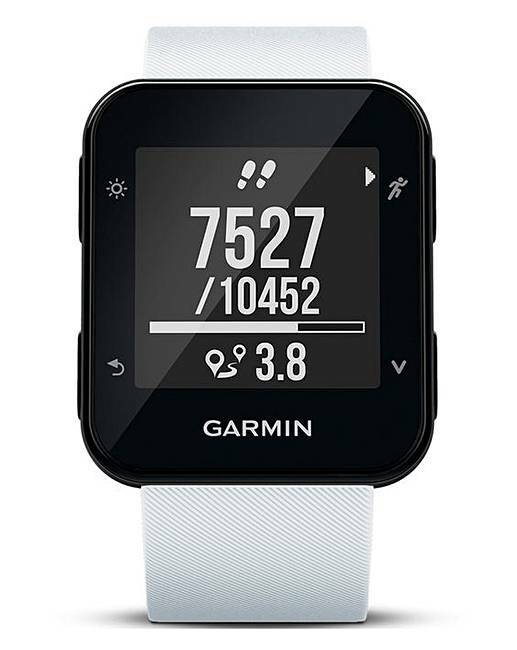 It also doubles as an all-day activity tracker1 to give you steps and calories. 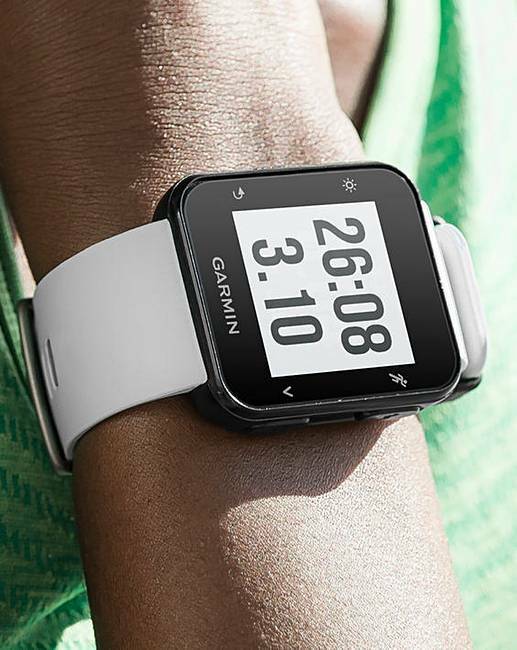 Forerunner 35 includes connected features like smart notifications, automatic uploads to the Garmin Connect™ online fitness community, LiveTrack and music controls right on your wrist. 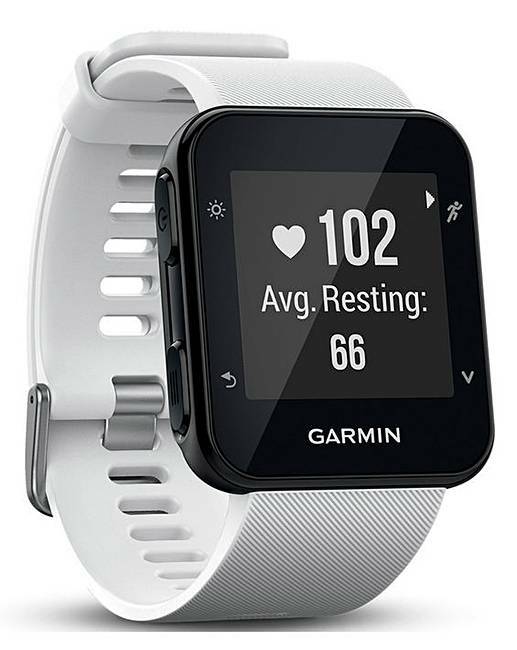 Meet your fitness goals with help from various sport profiles, intervals, vibration alerts to keep you motivated and useful features such as Auto Pause® and run/walk activity mode. 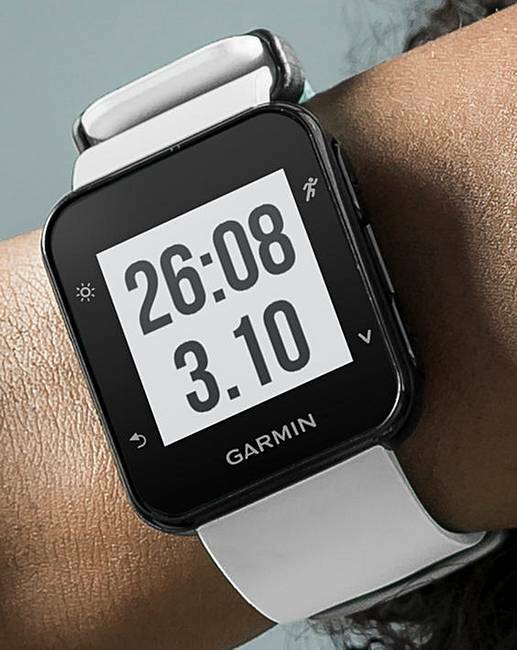 Forerunner 35 running watch has what you need to take your running to the next level. Just put it on and go! Unit Adjustable Strap. White. Dimensions: 35.5 x 40.7 x 13.3mm.